The Fairy Tale Hero’s group performed at the lip sync concert on Oct. 21 in Allendale, MI as one of the activites available to students during homecoming week. As part of a new initiative taken by Grand Valley State University, the alumni relations and development teams have begun live-streaming events to former GVSU students across the globe. The first live-stream was the lip-sync competition during homecoming week in October. The GVSU Alumni Association gave graduated GVSU students the opportunity to interact, watch and be part of the singing and dancing competition on campus even when they were miles away. Alexis Rangel, the assistant director of alumni relations, indicated that the experiment with the alumni development team was innovative partnership between both departments to keep the alumni who are currently in and out of the U.S. connected with their Laker roots. Rangel also noted that allowing the users to vote on who they considered to be the best team added excitement to the event. It was the Greek alumni at GVSU who were the most active participants and used the live-stream to its full extent. While there are no an initial plans for further live-streaming events, Rangel said the Alumni Association hopes to do more events like live-streaming the lip-sync competition and keep the alumni connected to the university, no matter where they are. She added that if any of the alumni want a particular event filmed, they should email or call alumni relations at the Alumni House on the Allendale Campus. PJ Sallans, a 2015 GVSU alum and current student at the University of Michigan school of dentistry, said she appreciates that the GVSU Alumni Association is still active with its former students. 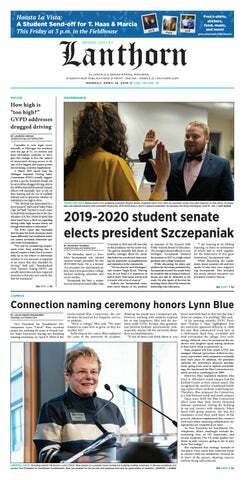 Work needs to be done in regard to the syncing program, she said, but she enjoyed reminiscing and seeing current students be active on campus. For more information about the GVSU Alumni Association, visit www.gvsu.edu/alumni/alumni-association-2.htm.